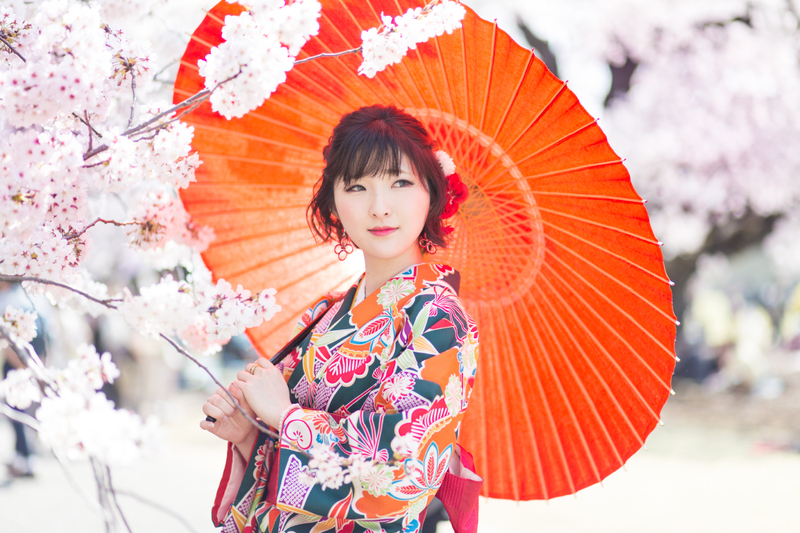 There are actually many different kinds of "kimono", the traditional Japanese costume. 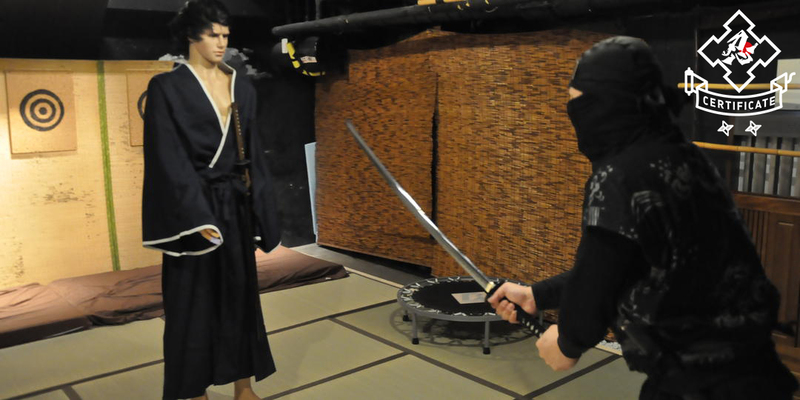 Among them, "Komon" and "Yukata" come in handy as casual clothes. 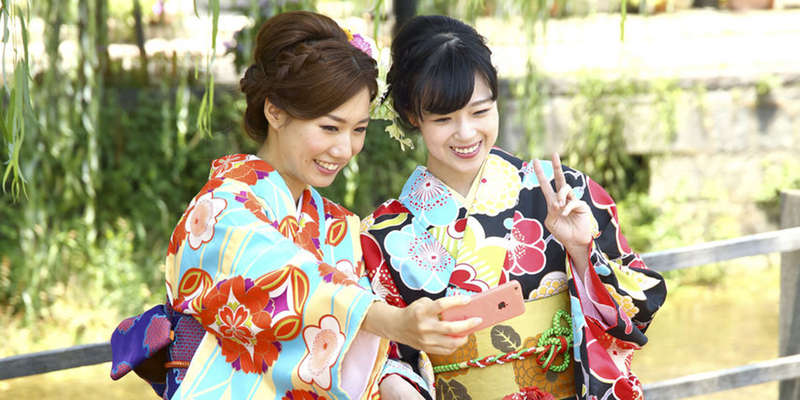 "Komon" is worn when attending lessons of traditional Japanese culture or when going out, while "Yukata" is worn for summer fireworks festival, etc. 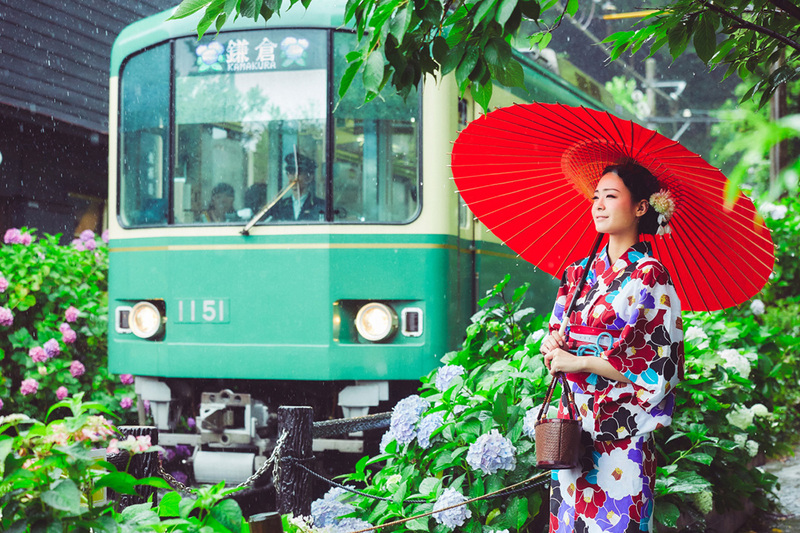 How about wearing such casual kimono and taking souvenir photos in a scenic landscape? 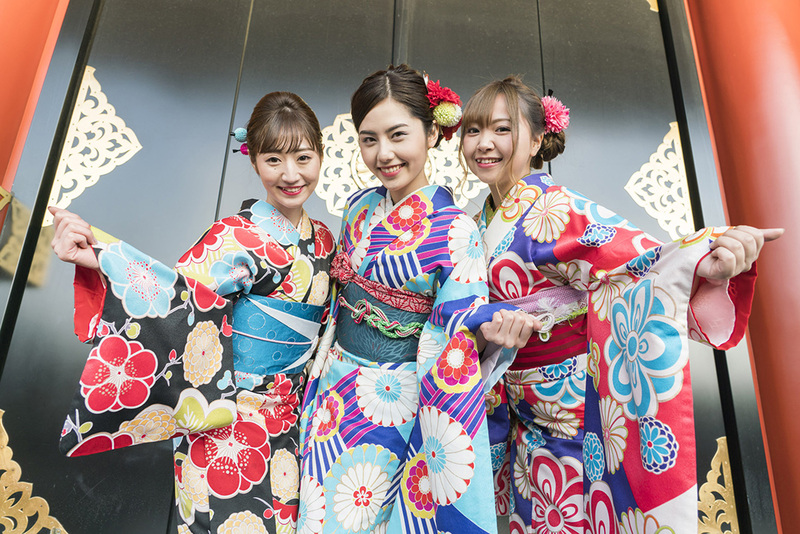 Here, we will introduce kimono rental shops located in the center of Asakusa, Kamakura, and Kyoto, all sites filled with tasteful Japonesque atmosphere, together with perfect spots for souvenir photos. Kimono rental shop is a specialty store where many items such as bags and sandals are available in addition to kimonos and sashes to be wrapped around waist. Fitting is done by a skilled seasoned dresser, and also, a stylist will get your hair done. 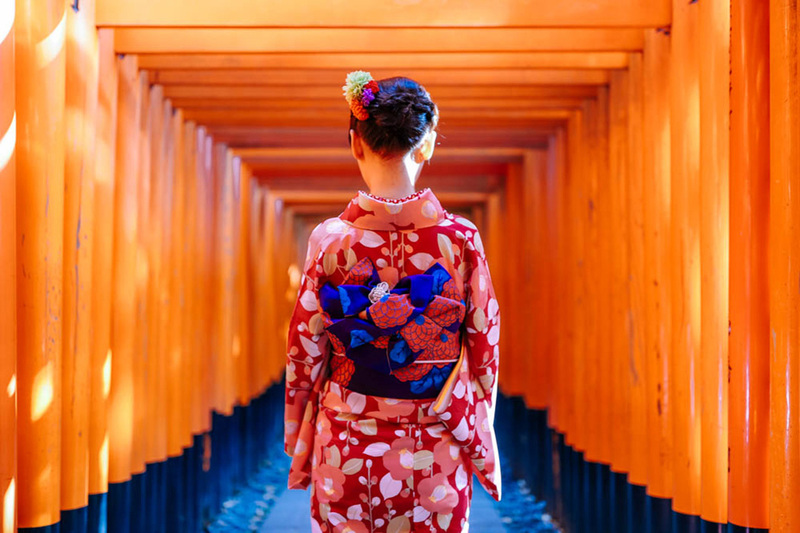 It takes about 30 minutes to 1 hour 30 minutes from choosing a kimono to going out. Walk-ins are OK, but we recommend booking in advance ahead of time. In Asakusa where the taste of old town remain remarkably, stands “Asakusa Aiwafuku” which runs three stores along Sumida River, just a few minutes walk from Asakusa Station. The photo spot you can’t miss in Asakusa would be "Kaminari-mon Gate" of "Senso-ji Temple" located about 5 minutes on foot from the shop. 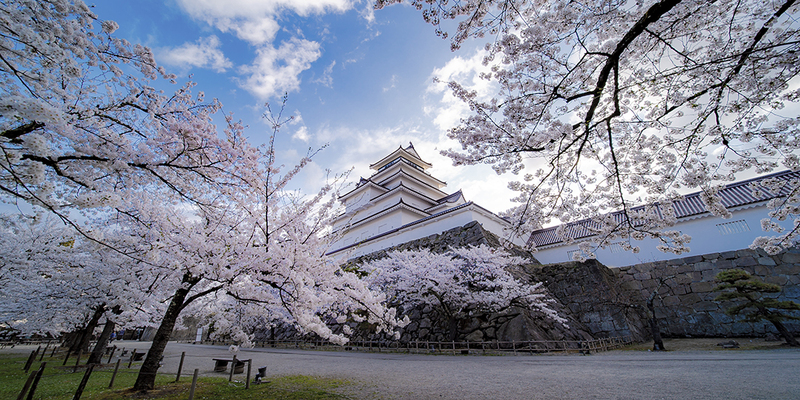 Nearby "Denpo-in-dori" is also recommended, packed with the atmosphere of Edo. Also, the area along Sumida River is famous for cherry blossoms. If you are to visit during the cherry blossom season, do take a souvenir phot against the background of Tokyo Skytree. Kamakura is an ancient city full of nature, being surrounded by mountains and the sea. "Kimono rental VASARA" is a rental kimono shop that has two stores, one near Kamakura Station and the other along the main street of Komachi-dori leading to Tsurugaoka Hachimangu shrine. The recommended photo spot would be "Kamakura’s Hase-dera Temple" located 15 minutes from Kamakura Station of Enoshima Electric Railway. 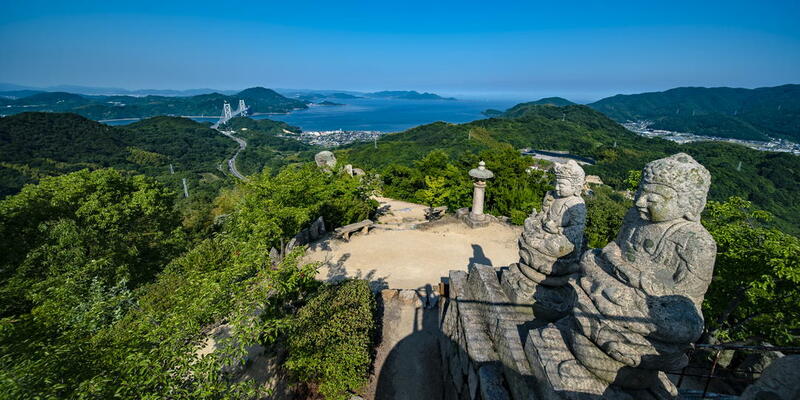 Located on a hill overlooking Sagami Bay, it is a beautiful temple with flowers and trees flourishing every season. Also, a spot that you can’t miss is "Kamakura Daibutsu (Great Buddha) Kotoku-in Temple" located about 10 minutes on foot from here. You can take an impressive picture against the background of national treasure of a height of 11.3 m, a statue of seated Amitabha Buddha, commonly known as Kamakura Daibutsu (Great Buddha). 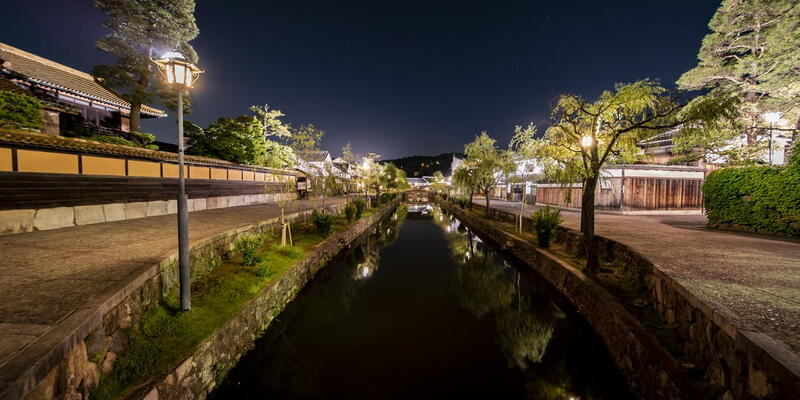 Kyoto is a city where Japanese tradition remains. 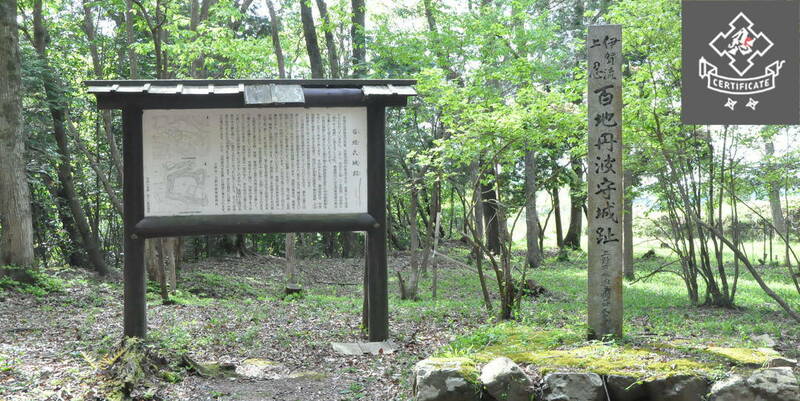 "Hanakanzashi" is located on Karasuma-gojo, a convenient area for sightseeing in Kyoto. The spot you can’t miss when taking Kyoto-esque scenery would be "Kiyomizu-dera Temple", located about 20 minutes from the bus stop Gojo Takakura, which is short walk from the store. Also, the stone pavement slope that continues from this Kiyomizu-dera Temple to Sanneizaka and Ninenzaka is also a shooting spot with charming cityscapes. Also, take Keihan Railway train from Kiyomizu-Gojo station about 10 minutes from the store on foot, get off at the 4th station and you’ll get to Fushimi Inari station. If you walk for about 10 minutes, you’ll get to “Fushimi Inari Taisha” with its torii corridor, where you can take a mystical picture unique to Kyoto.